The professional service industry continues to grow due to companies recognizing that “many activities can be handled more efficiently by a service provider”; choosing instead, to stick to their core business . According to a Franchise Times report, personal services and health and medical franchises led in 2017 among categories such as hospitality and retail. Personal services increased by 11.4%, and health and medical went up 9.3%. A recent Plunkett Research report estimates the U.S. consumer services sector “including pet care; nail and hair salons, spas and massage services” was worth $70 billion in 2018 — and it is expected to grow to $89 billion by 2024. If you are contemplating franchise business ownership in 2019, the timing is good for buying a franchise in the professional or consumer services industry. Consider the myriad of services that a household, business or individual consumer needs to run at an optimal condition, and one quickly realizes that this trend might be pointing to an opportunity. Today, there are many companies that specialize in helping future franchise owners choose wisely. As a former franchise owner, who now consults with prospective franchisees, I highly recommend working with an experienced franchise specialist. And, I advise you to do your own homework to determine the best franchise opportunities available and the best franchise opportunities for your specific goals. As I completed research for my book, Adventures in Franchise Ownership, I learned that approximately half of the top performing franchisees I interviewed share the same story: They first became aware of the service, if not the brand (that they ended up franchising), as a user, consumer, or employee. Your future brand may very well be one you are already familiar with. I tried the following exercise myself and was struck by how many services I have personally incorporated or plan to in the near future. I bet you’ll find the same and maybe, you’ll find a franchise that will lead to your success as a franchise business owner. For the next 30 days, make a mental or physical note of all the services you personally engage with or are considering hiring as you go about your month. These do not have to be franchised businesses. Chances are good that there is a brand available. Below are the highlights from my month in review. I exercise. It’s key to my sanity. I used a Groupon coupon and went to a Cycle Bar. Crazy good workout. Still considering membership to complement my current gym membership. I got married. (No franchise involvement!) Because my windows were pretty dirty and I had company coming, I called Squeegee Squad for the second year in a row. Sparkly windows, plus sparkly ring, and I’m a very happy lady. I will call them again next year. My house needs painting. I went to an advisory board meeting for the Titus Center for Franchising and met Michael Stone, president of CertaPro Painters. Franchised painting services? That works for me. I’ll always choose a franchise given the option because I know quality work will be done in a professional manner. To me, it’s the peace of mind that the business model affords to consumers. I walked my dog and met the owner of a local Mosquito Squad, who was working overtime on a Sunday. She loves her service business and has never looked back. I should mention that I’m based in Florida where there is no shortage of mosquitoes. According to Kristine Howard, there are no shortage of customers either. I was in a corporate environment before I bought an early childhood education franchise. When I did my assessment, I remembered that at one time I had wanted to work with children; but that notion had long been buried. That unearthed passion combined with motherhood, made that segment an easy choice for me. What do you enjoy doing now and what did you enjoy doing before your job and ‘life’ took over? What kinds of things, real or imagined, bring you feelings of happiness? What do you not enjoy doing? This is important because when we start talking big financial gains, it’s easy to forget what we don’t truly enjoy. Use caution in order to reap all of the benefits of business ownership; including loving what you do. What stage of life are you in? Are you young and unencumbered and so are ‘up’ for any challenge and long hours, or are you looking for something to cap off your professional career and cushion your retirement income? I was in the middle, “if not now, when?”, and had few options available. My franchise had to work, and I made sure it did. How much money are you willing to risk? With franchising, your success rate is much higher due to the nature of the business model, however, this is still a very important number to know. This number will help guide your decision. I risked big and the payoff was in line with that increased risk. For me, that was a very calculated decision. Do your own calculation. How much money do you need to make? If you are an owner-operator, you’ll need to plan carefully before removing your other income source(s). Some franchises begin making very good money very quickly, and then start to flatten out. That’s when your ingenuity, work ethic and persistence should kick in. Every market and every franchisee are different. Make sure this number is solid. By all accounts, the business and consumer services industry will continue to expand, as a leading contributor to the U.S. economy and the franchise business model will continue to play a growing role in the expansion. From millennials to baby boomers, we are all connected to the service economy. 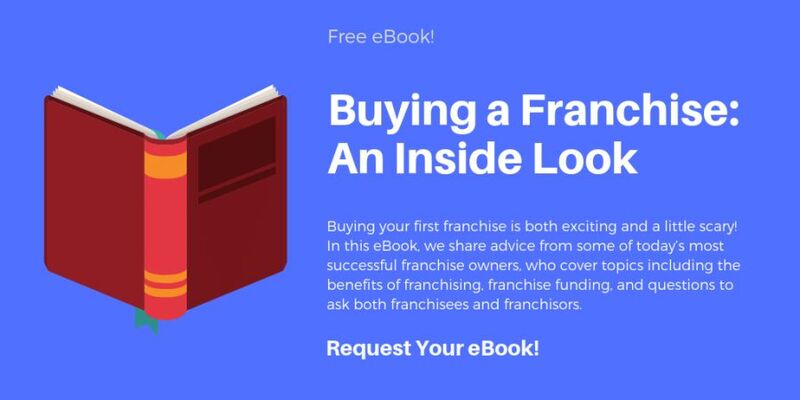 As a franchised business owner, you will contribute to the expansion and gain the financial and professional rewards that come from taking the next step toward franchise ownership. Final question: What are you waiting for?! Christy Wilson Delk knows firsthand what it takes to be a successful franchised business owner. In 1998, Christy opened a Kids ‘R’ Kids Academy franchise after selling her home and cashing out her 401k for the down-payment on a $1.7 million-dollar SBA loan. 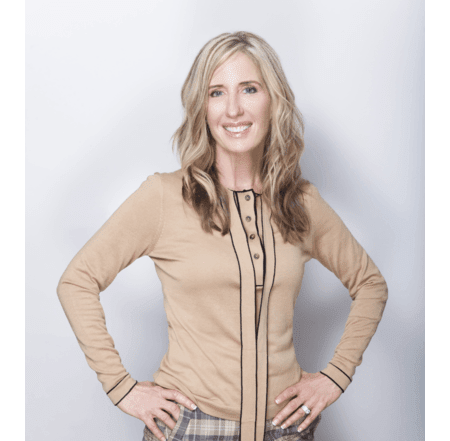 Over the next fifteen years, she grew and expanded her franchise into one of the largest in the early childhood education segment, before a very successful multi-million dollar exit in 2012. Now, a full-time business professor, Christy has turned her attention to helping new and prospective franchisees achieve the level of success they want and deserve. Through her talks and articles, based on her new book, Adventures in Franchise Ownership - 4 Pillars to Strengthen, Protect and Grow Your Business, Christy’s straightforward and humorous advice, along with over 16 other top performing franchisees, will help guide you through the ownership process. You can learn more about Christy at ChristyWilsonDelk.com or you can contact Christy at 407-399-5554.